Ever since I quit the flying days one thing I miss the most is really that Scampi Pasta in pink sauce with shaved truffles that I had at least once a month in Frankfurt. Some colleagues refer it to “hello kitty sauce” because it’s pink. Ok. I refused to call it hello kitty because not exactly a kitty fan, it is just simple creamy tomato sauce ! Not that hello kitty cute and fancy. But boy, it is the BEST PASTA in the world that I don’t mind to have it 3 times a week! Ok. It’s just me. 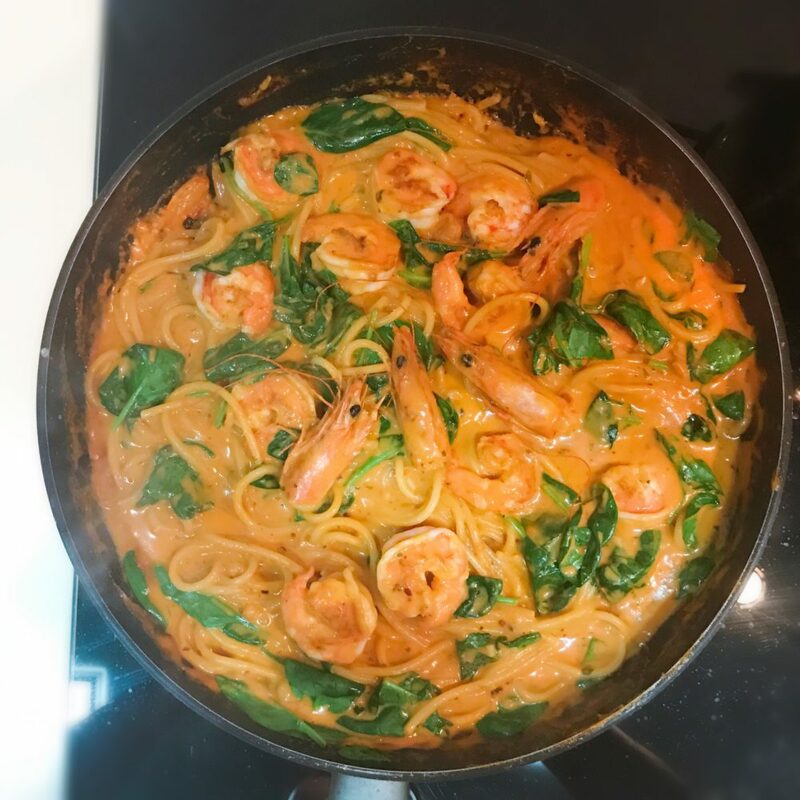 Thing is: I’ve been trying to make the the Pink Sauce prawn pasta recipe right in the past 2 years somehow it was good but lack of something. 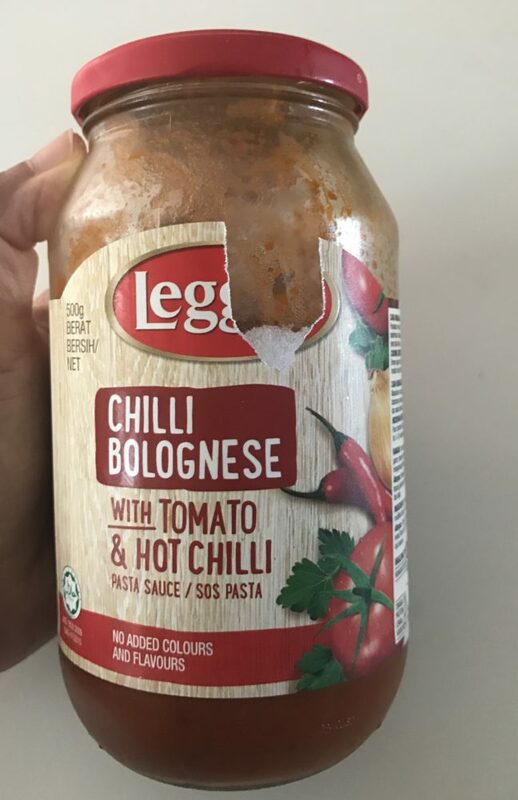 After much trials and errors I think I’ve finally figured out how to make that pasta sauce right. Since scampi is not easy accessible in Singapore, so I’ll just opt for prawns instead. 1. Peel and devein prawns. Don’t throw the heads away, keep prawn heads in another separate bowl for later. Dry prawns on a paper towel. 3. In another pan, high heat, rub some butter (1 teaspoon) on the pan. Seared prawns when the pan is hot. 1-2min each side. Season with salt and pepper. When both sides are cooked, remove them and rest on a plate. 4. Same pan, add more butter (appx 1 teaspoon). Sauté prawns head (2min ) on high heat. Then add garlic and Chili flakes. Until garlic slightly brown (not burnt). 5. Pour in 1-2 cups of pasta sauce, add little bit of water from the boiling pasta, then pour in cooking cream. Stir them to combine and let boil in medium heat. 6. Now your pasta should be almost done, maybe 2 more minutes to go. It’s ok, this is the crucial part! Take them out earlier while they are still slightly hard, and transfer the pasta to the pan. Let it continue to swim in the simmering tomato cream sauce. Cook until the pasta softeness is to your liking. And until the sauce are thicken. Maybe another 3-5 min or more ( I like mine overcooked). If it’s too dry, add little bit more pasta water from the pot. 8. Off heat. Squeeze in little lemon juice and garnish with chopped parsley! you can rearrange the prawn heads as garnish or can simple throw them away. Some people love to chew on the prawn heads. If you love it, why not ? If you have fresh shaved truffles? shaved them all in baby! 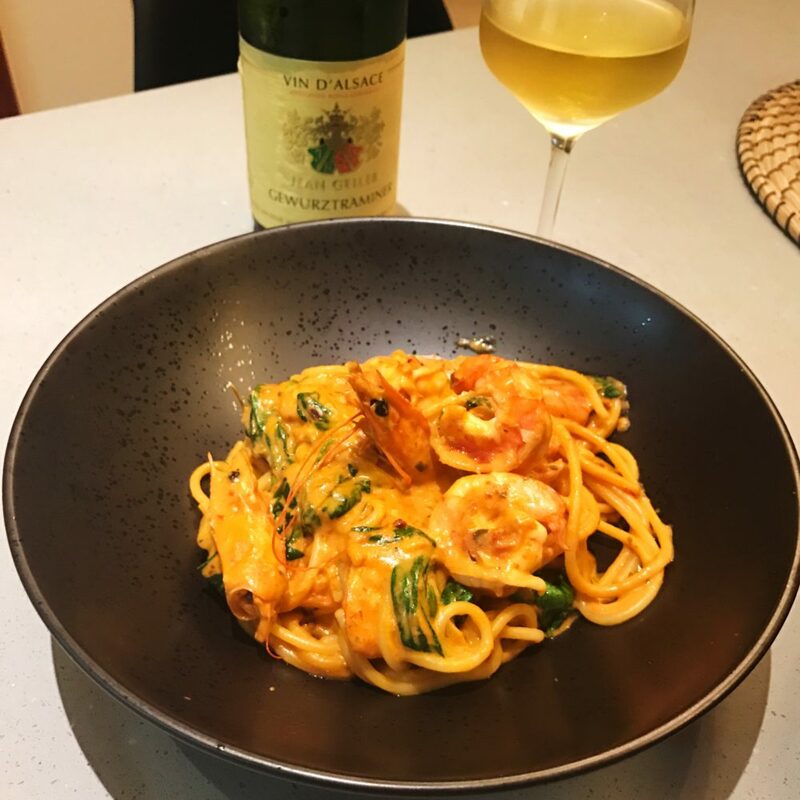 Gewurtztraminer is an aromatic white wine with expressive tropical notes like lychee and flowers, light bodied and good acid to balance out that creamy sauce. Great wine to pair with any rich and spicy dishes. If your sauce is not too spicy, any light white wine like Chardonnay or Pinot Grigio should pair nicely. Let me know if this recipe works for you. – sauté prawn heads first and let them infused in your pasta sauce later. – remove the pasta from the water earlier and let them continue to cook in the creamy tomato sauce for at least 4-5 min). That way they will absorb all the creamy, tomato Flavours and that nice prawn flavours from the sauce. That’s it! Those are my little findings to this pasta recipe. Let me know if you have anymore ideas.